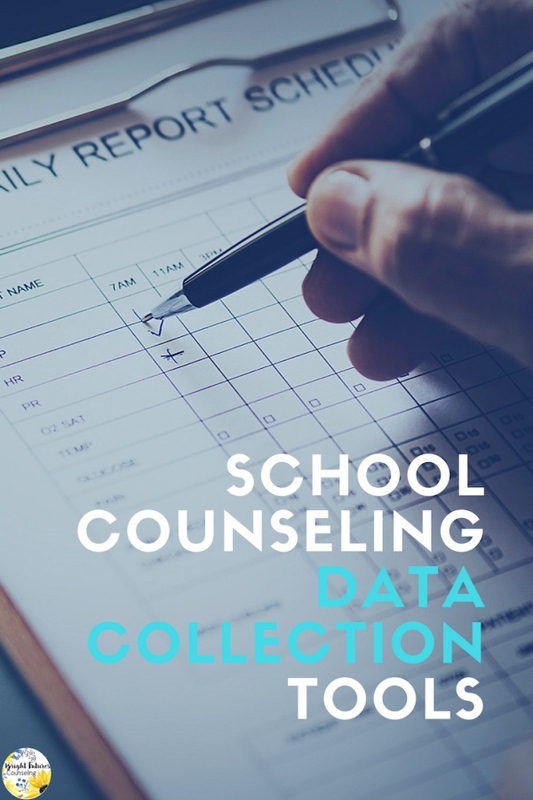 Data collection is vital to the success of your school counseling program, and let’s be real… for job security too! The work you do is oh so important and not only do you want to showcase student progress but you need to collect data to identify student needs. Here are 5 go-to data collection tools I frequently use. Needs assessments are exactly what they sound like, a great way for assessing the needs of your student population. If you are a first year counselor or new to your school this is a must-do right away! I always do them at the beginning of every school year. Send a few questions out to teachers and staff to assess student needs and determine which topics to base your small groups and guidance lessons around. You can create your own and you can even go paperless using Google Forms! Check out mine here. It is super important to track students’ progress after seeing them for several weeks in a group. Especially if you’ve been pulling them out of class! Parents and teachers want to see that the group is beneficial to the student’s wellbeing. 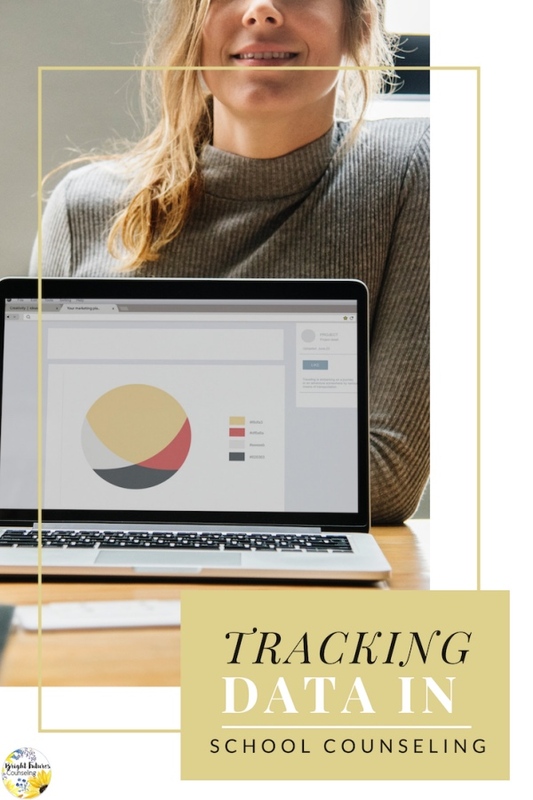 This website has tons of free data-tracking tools and I use the Brief Behavior Rating Progress Monitoring Scales frequently. Topics include aggressive/disruptive behaviors, anxious behaviors, depressive behaviors, inattentive behaviors, and social skills. You can use Google Forms to create a progress monitoring scale for a topic the website doesn’t have. Here is a video tutorial of me showing you how to create one! I send these to parents and teachers before and after each group. Throw them in with your permission slips so you won’t forget! When you collect the data, use a spreadsheet to stay organized and create graphs. You will be glad you had this info when you create your End of the Year Report! (See #5) These can be used individually as well. Self-assessments are a great way for students to reflect on their own progress. I use them before and after each group and sometimes with students I see individually. You can have students fill them out on paper and then record the data digitally yourself or set it up in Google Forms so the data is recorded automatically. (Can you tell I love Google Forms?!) Here are 9 self-assessments I created in both print and digital versions. Determining what motivates students and collecting this data is a great way to modify behaviors. Check out my blog post on how to use these tools here. I love creating my End of the Year Report. It is a great way to reflect on your program’s progress and feel proud of all of your hard work! Record how many students you served, how many guidance lessons you taught, and even how much time you spent with students! This is a great place to showcase the graphs and data you’ve been collecting in the previously mentioned tools. Your stakeholders can see what’s working (and sometimes what’s not!). This way you can modify your program to best fit all student needs. You can create your own or check out my editable one here. I hope these tools can help you successfully monitor the progress of your school counseling program. Data collection doesn’t have to be scary, good luck!